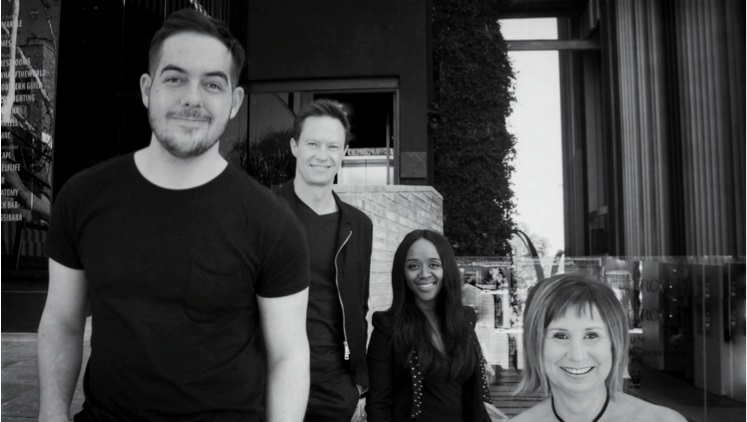 Arye Kellman's new influencer marketing agency, TILT, has officially gone live. The first clients are signed up, and the 2017 edition of the #Kellman20 podcast series launched, trending on Twitter on the eve of Youth Day. Kellman takes on the mantle of chief creative officer at TILT, and Jason Levin is helping lead the business as a director and as Kellman's co-founder. Levin headed up HDI Youth Marketeers for over eight years. It was acquired by TBWA South Africa at the end of 2013, and after steering the agency to over 500% growth, he handed it over to his successors in 2016. For the last eight years, Kellman has done been on and off the air at 5FM, CliffCentral.com, and now, at Tbo Touch's, Touch HD. He also co-hosts a weekday show, The Millennial Watch, with Rorisang Thandekiso. 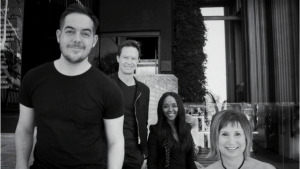 Levin and Kellman knew each other from the Johannesburg marketing circuit, and Kellman approached Levin's company, Elevation Holdings, for start-up advice. When they sat down to iron out the offering, and try to name it, they agreed that the pay-per-post model, in this space, is widespread, but ineffective. “I wanted to bottle and sell the art and science of using personalities and social media to create disproportionate gains for brands in a way that hasn’t been done, but also to push for millennial and early adopter views to be more widely and positively heard,” says Kellman. Levin adds, "At one point I was talking about how I loved arcades and pinball as a kid and mentioned 'tilt', meaning when you shove the machine to get the ball to do something advantageous, but against the rules. Arye was completely struck by it, and it was a done deal. Well, until we tried to get hold of the domain, tilt.co.za. That's a story on its own, but we succeeded." The discipline of influencer marketing is relatively new and is already becoming a critical tool for progressive local, and international, marketers. AdAge and AdWeek, among others, have named it as the marketing tool to watch, with 84% of United States marketers planning to deploy at least one such campaign. Kellman, in his positions as creative director at both CliffCentral.com and Touch HD, has built strong credentials in concept-led influencer marketing for many brands, including Nando's, Virgin Atlantic, Kellogg's, and FNB. His #Kellman20 programme, launched in June 2016, was a social media success, driven by 20 local and international ambassadors who created written, video, and podcast content. It achieved over 20 million social media impressions in less than 12 hours. #MZ17, which was sponsored by Nando's, achieved similar results. Kellman says, "TILT is a team of influence architects that create magnetic content and then amplify it like wildfire. We are the unfair advantage. This unusual start-up agency will use social media content, influencers, celebrities, and trendsetters, but also 'traditional’ media and experiential marketing to build real connections with digitally-driven audiences and mavens." Levin adds, "We also understand that businesses and brands now need to move at the speed of culture. TILT is baggage-free, so we’re sharp, hungry, and agile. We're building a specialised, highly creative agency that is also quick and cost-effective; something clients are telling us they can't find." Experiential and activation skills will be provided by partner, Funeka Peppeta through Mood Mechanics and Tanya Surat (media sales), who has also joined TILT on the account management and business development side. “Even in South Africa, digital and social media are not the next frontier. They’re the now. We have 15 million active social users. The organisations that win in this landscape will be the ones that tilt well-worn marketing recipes and move towards a consumer-led approach," concludes Kellman. For more information, connect with them on Facebook. You can read more about #Kellman20 in our article, #Kellman20 lists influential South African millennials.